A power stretcher is a tool that stretches from baseboard to baseboard. It’s used for carpet in large areas. The head is placed by the loose carpet and grips the carpet in order to pull it tight. A long pole is placed from the head to the opposite wall. A lever is then pumped by the arms, which creates pressure and stretches the carpet with greater force than a knee kicker is able to create. 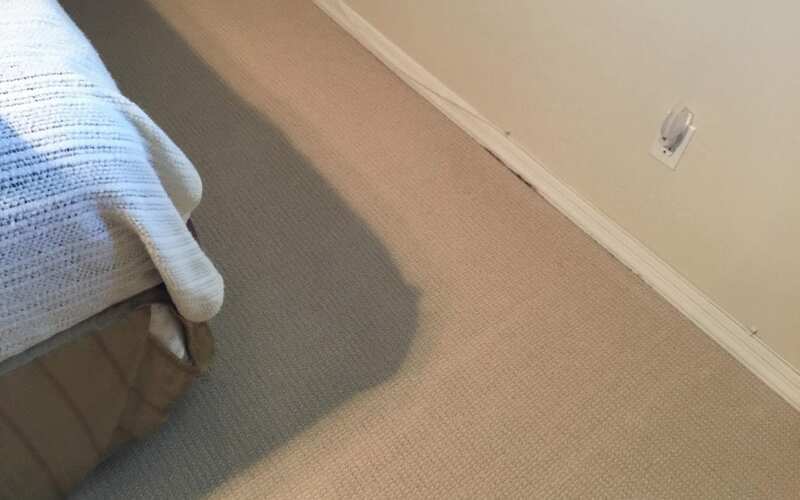 Our customer in Mesa had a gap between by his baseboard in the bedroom. He called us to repair that area, as well as another area in his home. There is no job too big, too small or too complicated for us, we can do it all!